We channelize prime visitors into your marketing funnel and take your business to the next level by reaching the right audience and increasing the conversions. Looking for an instant increase in your ROI? G-rank has the experience and expertise to manage your budget effectively and help you grow. Our PPC service can help you gain immediate exposure and an efficient way to introduce new products or services. Best result at lower cost: The relevance, content, and quality of ads are continuously monitored to lower your cost per click while reaching targeted consumers. Increased exposure: Paid ads leave less space for competitors on search results pages. Artboard 1 Analyzing, optimizing & reporting The final & ongoing stage of our PPC process involves analyzing, optimizing & reporting on the outcomes of the campaign. A monthly report will be shared containing an analysis of campaign performance and improvement ideas. Tracking- Knowing where’s the competition AdWords PPC campaigns without quality tracks fail. We will put yourself ahead of the competition, by tracking everything! We ensure the tracking is set up properly, tracking all the data we need to optimize. Creatives and enticing content You are only as good as your copy and creative, which is why G-rank has a team of experts with decades of knowledge. We ensure your adverts are tightly focused on the ad group’s keywords and on the wlanding pages. Devising the Right PPC Strategy. The assessment process will help uncover the challenges your business, based on a rigorous assessment of the overall situation, we will craft a pay per click strategy that will define the successful PPC advertising. Define Goals & PPC Strategy Our core forte is to increase your ROI while enhancing your brand visibility. To begin with, we tailor a campaign that suits your requirement and build the account from ground up and devise a winning strategy. Selecting what drives potential leads. We use sophisticated techniques ensuring you cover the full search landscape while avoiding the areas which aren’t right for your business. Ongoing Optimization Campaign optimization involves taking the existing components of the PPC account and restructuring the campaigns, ad groups, and keywords. We always follow the result oriented optimization process. We help brands achieve business outcomes through search marketing strategies based on deep analytics and customer journeys. We ensure best conversions for our clients, and hence leave no stone unturned in offering the best services. We like to look beyond conventions and bring to life eccentric yet effective ideas. Associate with us now and gives us the opportunity of fulfilling your dreams! Make the most of this opportunity and let your brand speak for you. 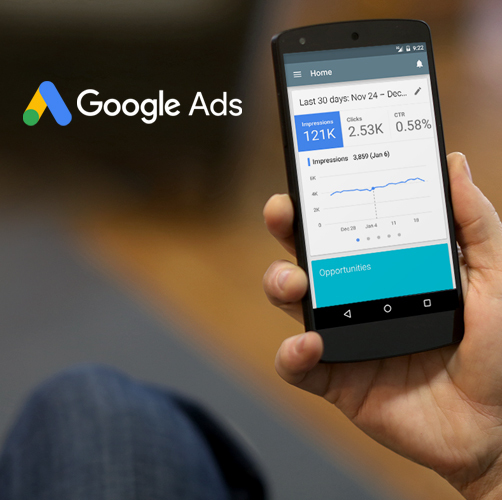 Let your customer knock your door for Sale with our Google Ads lead generation strategy.